Hey there! Thanks for hopping over! If you've arrived here from Dana's blog, you've almost finished your adventure into the rabbit hole. I hope you've been inspired! 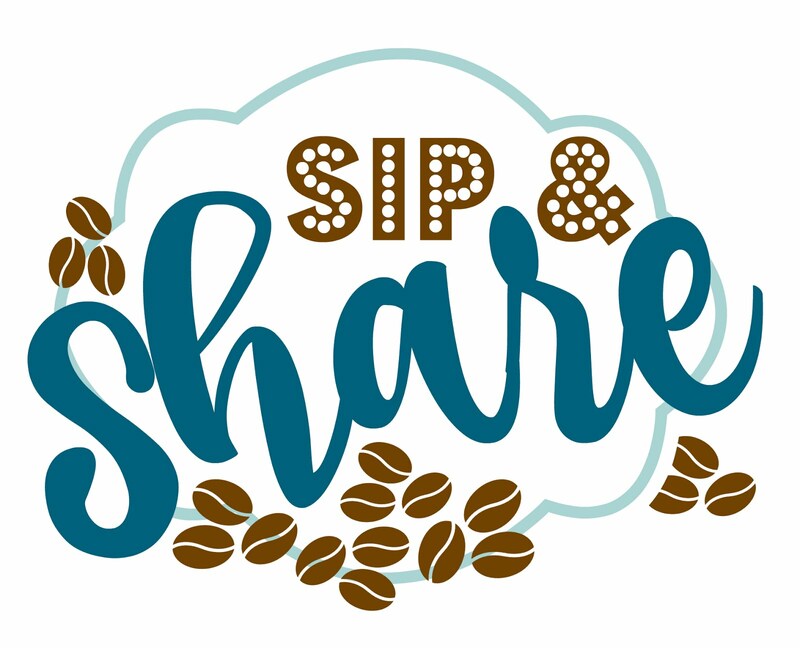 I'm THRILLED The Rabbit Hole Designs asked us designers at Coffee Loving Cardmakers to help introduce them to the stamping (and coffee-loving) world through this fun hop. Let's take a peek at the coffee stamps available in their launch, shall we? PSSST...You can click on each image below to go directly to each product in their SHOP HERE! So, whaddaya think? Do you have a favorite? I'm pretty inspired by all of them and I have a sneaking inclination that a few of my coffee loving pals are too. FREE SHIPPING! Free shipping on orders of $15.00 before tax and shipping (US orders only). No code necessary, exclusions apply. RV91, 32; E04; BG72; B52; E71; W7; Y21; E50 and white Jelly Roll. After coloring the dino, I applied some ivory acrylic paint to the Gelli Plate, dropped a few drops of Pink distressoxide ink and then pressed my cardstock to the plate and lifted to reveal the color. Next, I applied a bit of vintage brown distress oxide ink and then spritzed with water so it would run like drippy coffee. I hit it with the heat gun again to make it dry. Next, I stitched the background paper with my sewing machine and mounted this panel onto some gray cardstock. I then spritzed some white ink and sparkle ink onto the panel so that some of the distress oxide ink could react. I stamped the sentiment and then mounted the dino with foam squares. To finish off the card, I applied various sequins and silver pearls as well as some pink/bown twine. Blog Hop Giveaway! Please leave a comment by 11:59 PST on 1-18-2019 for your chance to win! One winner will be chosen at random from the comments left on participating blogs, for the entirety of the hop, so make sure to visit and comment at each stop, each day. Winner will be announced on The Rabbit Hole Designs BLOG as well as the Coffee Loving Cardmakers BLOG on 1-21-2019! How fun is this? I love that background and the colors are fantastic. Thanks for being a part of the launch. Love this, that stitching is a perfection addition to your awesome design. Dino looks wonderful reversed - gives you so many more options. I love, love the coloring and stitching. Love your card Kerry, the background is so pretty and I love that stitching detail! I love that you made Dino a girl! So cute. Also love the reversed image. I love her toe popping through her slipper; poor thing! lol Your card is gorgeous and love the colors you used, and the stitching detail! Such a cool background! And haha! I just noticed her claw coming out of her slipper...lol! Love those details. This is beautiful... that stitched background and how you've used the sequins and silver balls really makes the whole thing move... love it! what a fun, awesome background!!! you colored the dino wonderfully. love this so much. Now we know why dinos went extinct! Doc put 'em on decaf! lol! Love the texture of your sewn background! That background is absolutely amazing! Love all the details! The perfect background for this fabulous image. Thanks for sharing the creative details as well. That stitching totally MAKES the card! Great job! The stitching is a great accent to the main focus. Such a cool card! Love the reverse stamping and thank you for explaining how to do this, must say the stitching detail is what has me crushing on this card along with the color choices.. Thank you again for producing such a great card for our release. OMGosh these are so super cute! Love them. Amazing coloring and I LOVE THE EMBELLISHMENTS! WOW, CRAZY and CUTE stampsets! 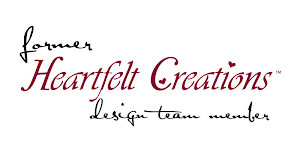 Love this new company's snarky images! I especially love your stitched background! Fantastic background... I totally LOVE all the details on the Dino!!! Very Cool! Eeep! This is amazing!!! I love every magical inch!! Great idea to mirror image her!! OMGosh Awesome stamp sets, Your card has got some caffeinated cuteness going on!! Gorgeous colors. Loving this super cute card! Great card! 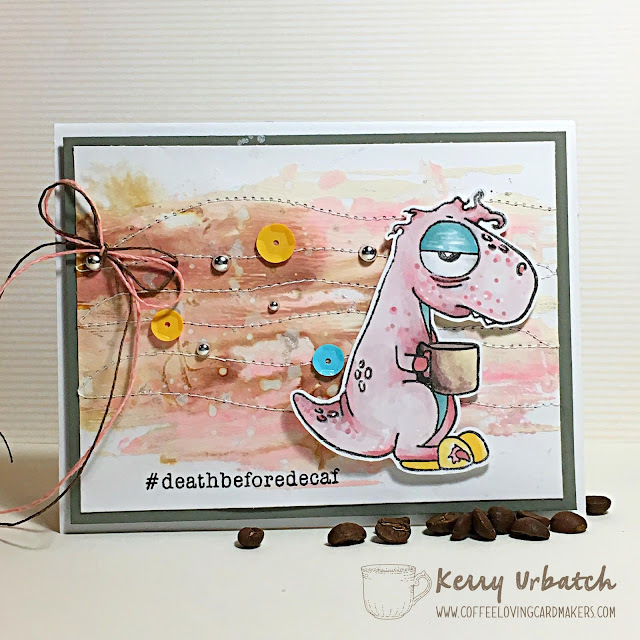 Love that cute dino and the sentiment! I love these! They are such a fresh fun new stamp design. I love how you created your card with the stitched and inked background. Kerry, I am always in awe of your work and this card is no exception. I love everything about it. What an awesome card.I love that background and the colors are fantastic. Wow! So many great techniques you have shared here on your adorable card! Thank you for taking the time to explain everything to us. :) Love this fun stamp and sentiment! Your card looks amazing! I love the sentiment too! All these details are amazing, wow, love the gel effect in the background. Love your wonderful card. The background design is fabulous. This card is terrific!! I love the image and the background with stitching and bling! Oh my!!! Gorgeous card!!! I'm totally in love for the stunning background of Dino's card!!! Too cute!!! How fun is your card. Love the background and the stitching. I love your card. I adore that dino with the toenail sticking out lol. These stamps just make me giggle more and more. This is so adorable! Love the Dino! LOL - love that quote! Great card! Love the stitching!!! Adds so much! I love this! Your card makes me not only want this stamp set, but also a gelli plate!! Sounds like an easy way to get a reverse image. Looks great! How adorable snd fantastic design. Fantastic card! Thanks for sharing.